Thailand has committed itself to ensuring acceptable living and working conditions for fishers on board ships by ratifying the Work in Fishing Convention. It has become the first country in Asia to do so, which signals to other countries in the region to follow this move. GENEVA (ILO News) – Thailand has become the first country in Asia to ratify the Work in Fishing Convention, 2007 (No.188), which protects the living and working conditions of fishers on board vessels. The Work in Fishing Convention sets out binding requirements relating to work on board fishing vessels, including occupational safety and health, medical care at sea and ashore, rest periods, written work agreements, and social security protection. It also aims to ensure that fishing vessels provide decent living conditions for fishers on board. The Royal Thai Government’s ratification of the Convention reflects its strong political will to ensure that the working conditions in its domestic fishing industry meet ILO standards." “The Royal Thai Government’s ratification of the Convention reflects its strong political will to ensure that the working conditions in its domestic fishing industry meet ILO standards. 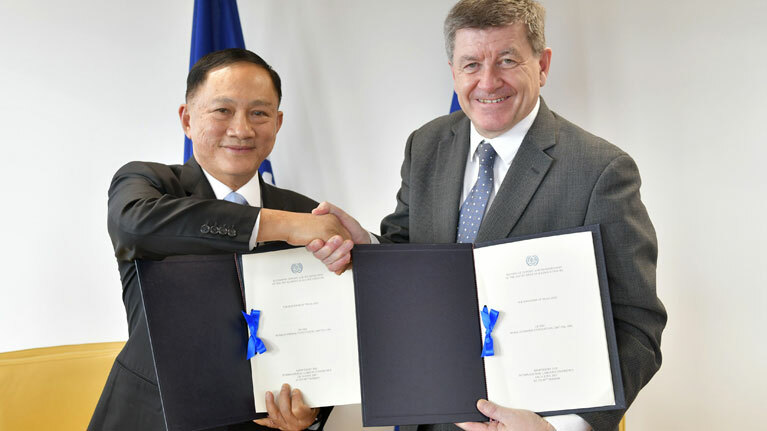 It underlines Thailand’s full commitment to raising the standards of labour protection for both Thai and migrant workers and eliminating forced labour, in line with the Sustainable Development Goals,” said Thai Labour Minister, Police General Adul Sangsingkeo, who deposited the instrument of ratification at the headquarters of the International Labour Organization in the presence of ILO Director-General Guy Ryder. The commercial fishing and seafood industry contributes around US$6 billion to Thai exports, with Thailand being among the top global exporters of seafood products. The Thai fishing and seafood processing sectors together employed more than 600,000 workers in 2017, of whom 302,000 were registered migrant workers. The Thai fishing industry alone registered more than 57,000 migrant fishers in 2017 on approximately 10,550 commercial fishing vessels. I much appreciate Thailand’s strong commitment to decent working conditions in the fishing sector." “I much appreciate Thailand’s strong commitment to decent working conditions in the fishing sector. With its ratification of the ILO Work in Fishing Convention, Thailand is setting an excellent example for the region, being the first country in Asia to ratify this critically important convention. 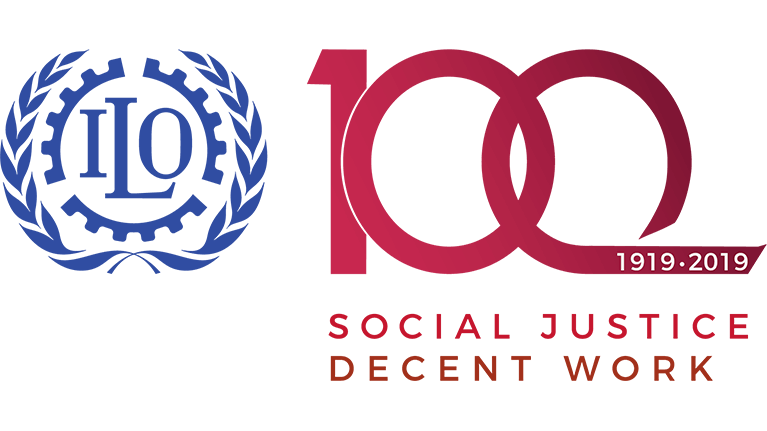 I look forward to other Asian countries soon following suit, particularly as the ILO aims to achieve a high number of ratifications in our Centenary year,” said Ryder. “As Thailand moves into the implementation phase, the ILO will continue to provide its support and technical assistance,” he added. 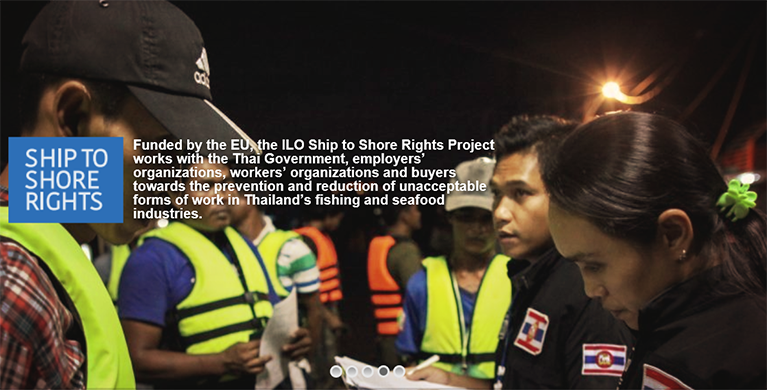 The ILO’s Ship to Shore Rights Project, funded by the European Union, will continue to support the Royal Thai Government, employers’ organizations, and workers’ organizations to raise standards in the Thai commercial fishing industry. Angola, Argentina, Bosnia and Herzegovina, Congo, Estonia, France, Lithuania, Morocco, Namibia, Norway, Senegal, South Africa and the United Kingdom, had already ratified the Work in Fishing Convention, making Thailand the 14th country to ratify it. Dating back to 2007, the Convention came into force for the first 10 ratifying States on 17 November 2017. It will come into force in Thailand 30 January 2020, a year after ratification. For more background information on ILO’s work in the fishing sector, please visit the ILO’s Fisheries webpage.